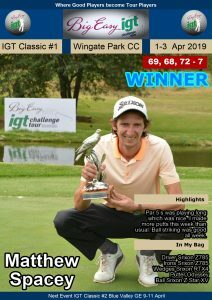 RANDPARK, 8 August 2018 – Paul Boshoff staved off a late charge from fellow Pretoria golfer Hendrikus Stoop to claim his maiden professional victory in the seventh Big Easy IGT Challenge Tour event at Randpark Golf Club on Wednesday. 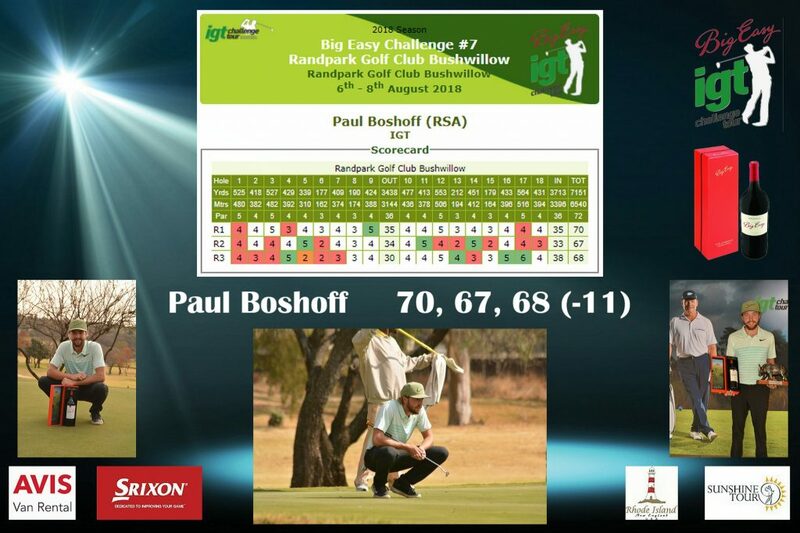 Boshoff and Stoop were two shots off the pace at the start of the final round, but Boshoff wasted little time to shoot to the top of the pile at the Bushwillow Course. The 21-year-old Serengeti golfer fired a trio of birdies from the first and scrapped a bogey at four with an eagle at the par four fifth. He pulled three shots clear of Stoop with another brace of birdies at six and kept the lead down the back nine. However, back-to-back bogeys at the 16th and 17th holes left Stoop, who birdied the penultimate hole, trailing by just one shot as the pair headed to the 18th green. “The last hole was pretty tense,” said Boshoff. 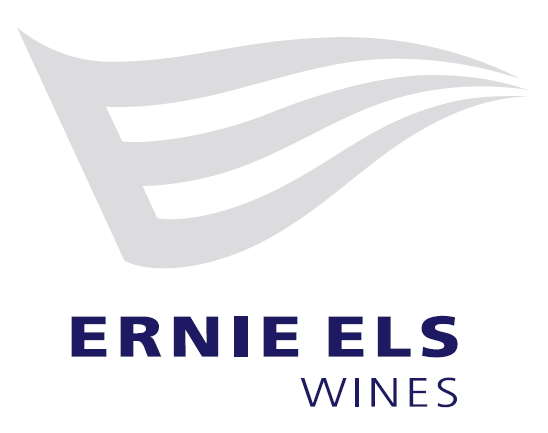 “I hit my tee shot left of the fairway and I was under some trees and Hendrikus hit his to the right and had a clear shot to the green. “I thought that was it; we’d have a play-off and I was really surprised when his second shot finished four metres short of the green. It took the pressure off, because all I could do was punch out. “I’m so pleased to finally win one after trying for two years,” said Boshoff. “I have been playing really well for a while now and I expected a lot of myself this week and to pull it off is pretty amazing. 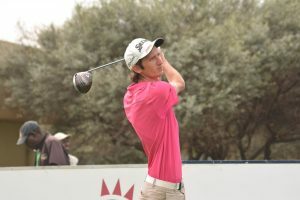 “I went to the Sunshine Tour Qualifying School in March, but I missed out by one shot in the Final Stage, so I came back to the development circuit,” he said. 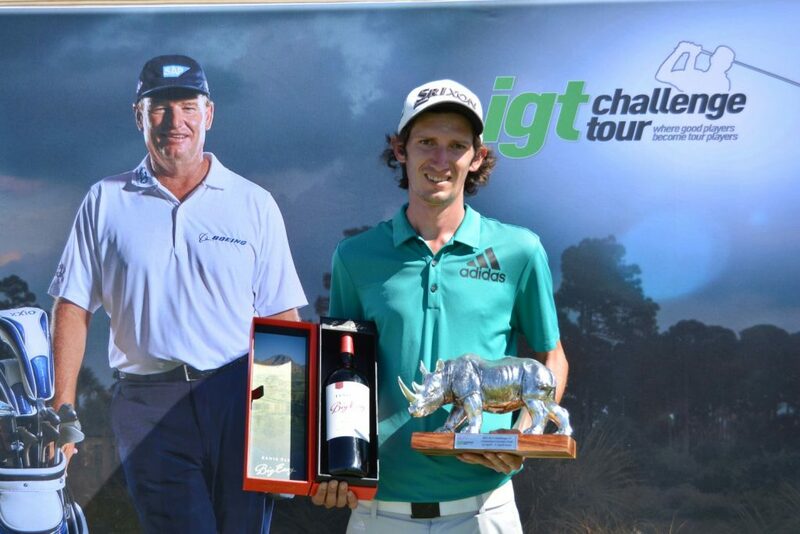 “The tournaments on the Big Easy IGT Challenge Tour and on the IGT Challenge Tour are run very professionally. 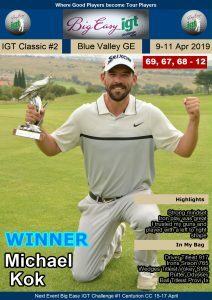 Ludwick (Manyama) from the Sunshine Tour and Cois (du Plooy) from IGT set up the courses to challenge us and that helps us to improve our course management. Meanwhile Caylum Boon finished with five birdies on the bounce to claim the low round honours. 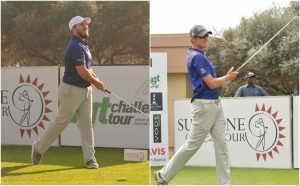 A six-under-par 66 earned the Southern Cape amateur a share of fourth on seven-under with Hayden Griffiths and Tokkie van den Berg.